There are two customer service desks located on the ground level of the mall. 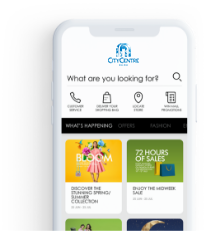 Customer service representatives can assist you with inquiries or complaints as well as offer a range of services to our shoppers including mall information, lost and found, wheelchair, portable chargers, Mall Gift Card and others. Our call center operates during the mall's working hours and can be reached on +973 17177777.